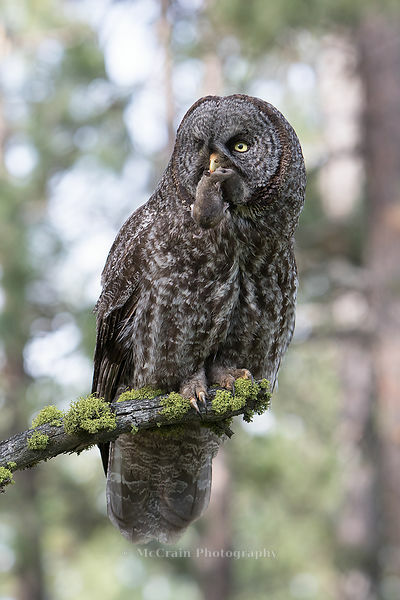 We recently made a visit to the Grande Ronde valley in the Northeast corner of Oregon to look for Great Gray Owls. 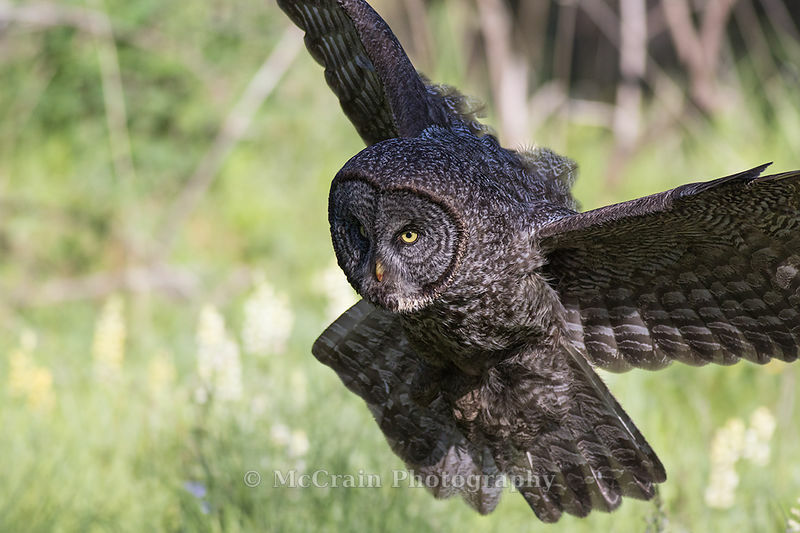 Great Grays are the largest (by size) owl in the U.S. - up to twenty-seven inches tall and with a fifty-two inch wing span. 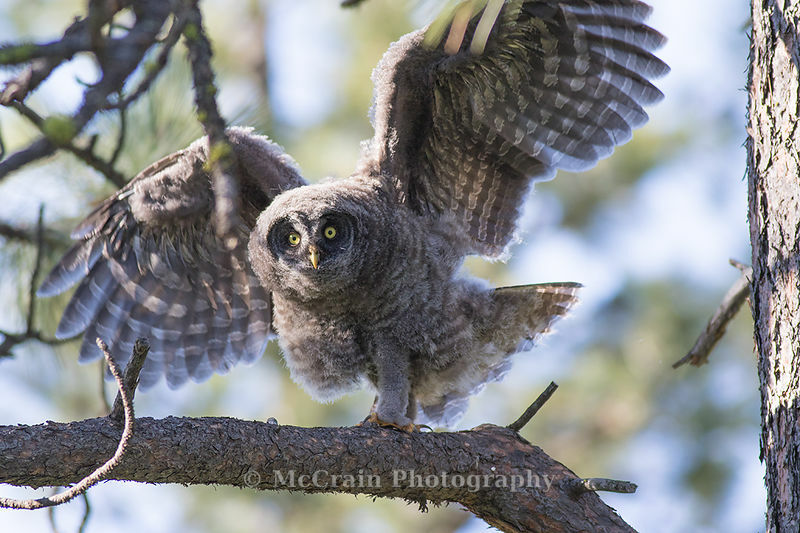 Up in the Blue Mountains there are a number of active Great Gray Owl nests. One place we visited was a farm in the hills on the East side of the valley. 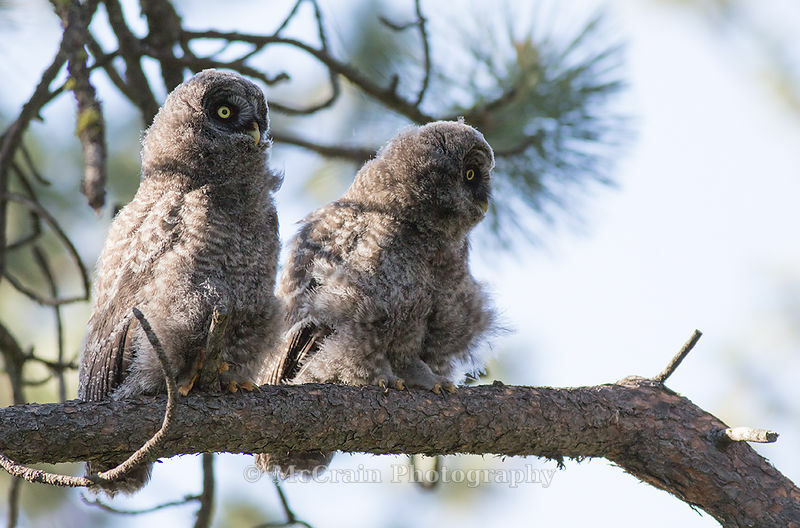 There were four baby owls with a single parent. 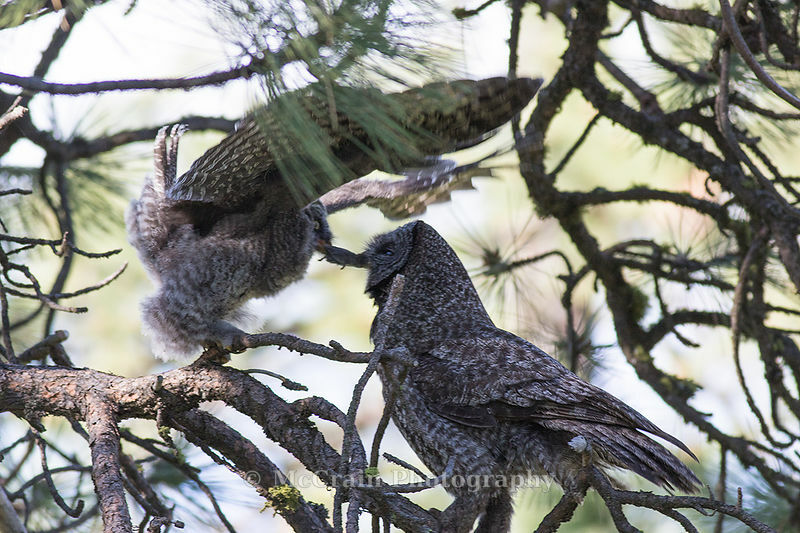 The male, who would normally take care of the owlets after fledging, had been killed by a Great Horned Owl. This left the mother owl to do the father's job of feeding the youngsters and teaching them to fly and hunt. The owner of the property has taken on the task of supplementing the owl family's food supply by capturing mice and voles in live traps and providing them for the mother owl. She takes these gifts and feeds the youngsters. Jody and I want to thank the owners for taking care of this family and sharing the experience with us. It was a remarkable, truly once in a lifetime, experience. Here she is about to grab a mouse off the tree round. These two youngsters are up in a tree waiting for food. Here is a video made from a series of photos. It gives you the feel for the mother flying down and grabbing a mouse off the tree round. After she grabs the mouse she would land in a tree to shift it from her feet to her mouth. This youngster is exercising its wings. 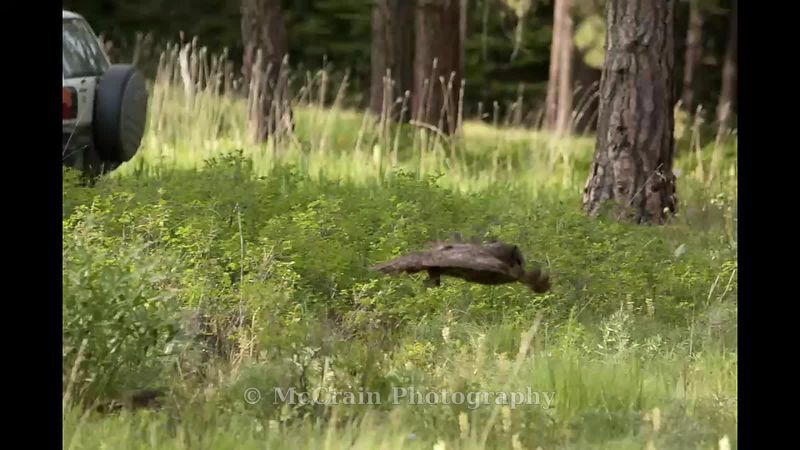 They were able to fly short distances but not yet hunt for themselves.